We warmly welcome Mrs. Marie Morrone as a member of the Sarah Bedell Cooper Society. 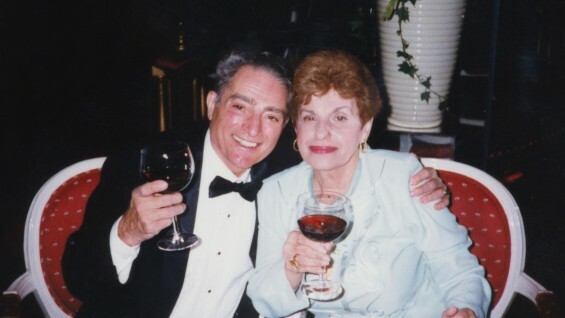 With a thoughtful and generous gift, Mrs. Morrone has established the Vincent C. Morrone Scholarship Fund in memory of her late husband, Vincent (EE’63) who died earlier this year at the age of 84. Vincent Morrone’s story is a classic Cooper tale. He grew up in Manhattan, graduated from the Bronx High School of Science, and while working at his father’s gas station and auto shop became interested in mechanics. The elder Mr. Morrone expected his son to join the family business, but Vincent’s classmate, recognizing his friend’s aptitude, urged him to apply to Cooper Union and he was accepted. Vincent became the ﬁrst in his family to attend college. A rewarding 30year career at Con Edison followed—ﬁrst as an engineer and later, after earning an MBA at Wagner College, as an executive with the company. Marie, who was a pharmacist, met Vincent while he was a student at Cooper. Together they enjoyed almost 60 years of marriage and traveled the world in retirement. Mr. Morrone always intended to “give something back” to Cooper so that others would beneﬁt from the same opportunities as the school had afforded to him. Mrs. Morrone chose to grant his wish now, while she is able to enjoy the rewards of her philanthropy. By combining an outright gift and a charitable gift annuity, she has been able to provide essential scholarship support for current students while also earning life income for herself. Eventually, the charitable gift annuity will transform into a permanent endowment, helping Cooper Union sustain scholarship assistance for years to come. The entire Cooper Union community expresses it deep gratitude to Vincent and Marie Morrone for supporting emerging artists, architects and engineers in pursuit of their dreams.